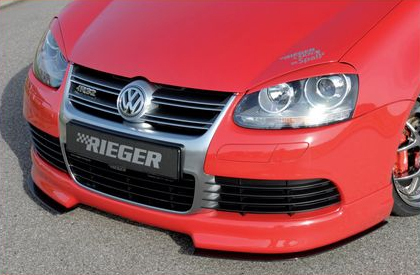 Rieger splitters are attached at the bottom of a front or rear bumper, to help protect the bumper from being scratched or damaged, as well as adding a unique race-look to your car. Made with ABS plastic. Fits R32 MkV Front Lip Spoiler P/N: R 59420. 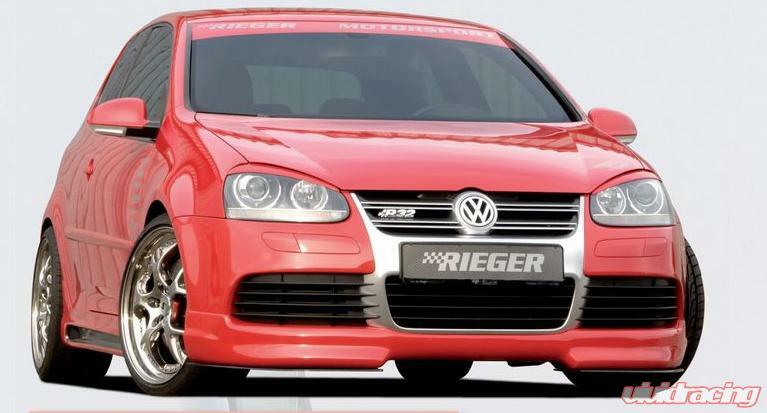 Note: Shown in Carbon Look, actual product is standard ABS plastic.